One page of a journal kept by Klaus Peter (later Pierre) Feigl, an Austrian/German Jewish refugee child living in France during World War II. Among the most personal and immediate accounts of life under Nazi tyranny are the many diaries kept by persons of all ages and backgrounds. In these journals, diarists recorded their private reactions to major events and life-changing incidents, such as the deportation of loved ones or acts of resistance in the ghettos. But diaries also capture the seemingly mundane, everyday tasks—gathering food, playing with friends, caring for family members—rendered all the more poignant because they were written in the shadow of Nazi persecution. The diaries often reflect a sense of belonging to the larger community of Jews targeted by the Nazis for ghettoization and, as many diarists came to realize, for extermination. Moreover, many diarists, such as those who recorded their thoughts for the underground Ringelblum Archives (“Oneg Shabbat”) in the Warsaw Ghetto, sensed that they were writing for posterity, recording events around them so that they would not be forgotten. By gathering and publishing these diaries, survivors and their loved ones have ensured that the writers and their stories are remembered long after they are gone. The following bibliography was compiled to guide readers to published diaries of Holocaust victims and survivors in English as well as works about these diaries that are in the Library’s collection. It is not meant to be exhaustive. Annotations are provided to help the user determine the item’s focus, and call numbers for the Museum’s Library are given in parentheses following each citation. Those unable to visit might be able to find these works in a nearby public library or acquire them through interlibrary loan. Follow the “Find in a library near you” link in each citation and enter your zip code at the Open WorldCat search screen. The results of that search indicate all libraries in your area that own that particular title. Talk to your local librarian for assistance. Presents a history of the Łódź ghetto as recorded in diaries, journals, speeches, and original documents. Includes excerpts from diaries written by Dawid Sierakowiak, Jakub Poznanski, Jozef Zelkowicz, and others. A collection of diaries relating various experiences of teenagers from different parts of Europe. Provides background and biographical information about each child’s life as well as portions from their diaries. Includes endnotes and an index. Abridged translation of the archives prepared by the administrators of the Łódź ghetto. Maintains the original diary format employed by the original authors to record all aspects of life in the ghetto during the period between January 1941 and July 1944. Includes maps, photographs, a list of street names, and an index. Collection of excerpts from 23 diaries of children and teenagers, both Jews and non-Jews, documenting their experiences during World War II. Describes a variety of experiences such as life in ghettos, concentration camps, bombed cities, and Nazi prisons. Includes a brief biography for each diarist. Collection of materials preserved and hidden in the Warsaw Ghetto Underground Archives, created to document daily life in the ghetto. Contains portions of diaries, newspapers, literary works, and many other records. Includes a glossary of terms and abbreviations, a bibliography, and an index. Collection of select sections of 14 diaries kept by teenagers during the Holocaust. Provides a brief biography of each diarist. Contains an extensive appendix providing an annotated list of known diaries written by young people during the war, endnotes, a bibliography, and an index. Diary of a young girl documenting the period between October 1939 and March 1944. Recounts daily life in the Warsaw ghetto, describing interactions with other residents and the struggle to keep friends and families together, life in an internment camp in France, and Berg’s eventual journey to the United States. Includes photographs, endnotes, a bibliography, and an index. Chronicles the daily life, eventual arrest, and deportation to Auschwitz and eventual transfer to Bergen-Belsen of Hélène Berr, a young Jewish woman living in France. Includes maps, suggestions for further reading, list of acronyms and special terms, list of books mentioned in the diary, list of streets and places, and an index. Presents the wartime diary of an American POW imprisoned in Stalag XVII B, near Krems, Austria. Includes excerpts from fellow POWs, John C. Bitzer and Bill Blackman. Includes an index. Translation of a diary kept by Gabik Heller, a teenager in the Vilna ghetto, documenting the period from February to September of 1943. Describes his work and visits in the library, his desire to join the resistance, and the final liquidation of the ghetto. Presents the translated notebook of a young boy who later died in Auschwitz, containing short stories, poems, and diary entries expressing the destitution of life in the ghetto. Includes photographs. Presents an English translation of entries from the nine secret notebooks kept by Adam Czerniaków, the chairman of the Judenrat (Jewish Council) in the Warsaw ghetto, beginning with the German invasion of Poland in September 1939 and continuing to July, 1942, when the author committed suicide. Documents Czerniaków’s daily interactions with Nazi officials, including his struggle to improve conditions in the ghetto and attempts to negotiate for the lives of its inhabitants. Includes a documentary appendix with translations of key documents from Czerniaków’s time as head of the Judenrat. Diary of a man who escaped the Lukacze ghetto, detailing daily life, the slaughter of the ghetto inhabitants, and Diment’s escape. Documents the period from the German invasion of the Ukraine in June 1941 until the author’s liberation on April 16th, 1944. Journal of a Jewish writer and physician living in Bucharest during World War II. Describes the situation for Jews in Romania and records political and personal events. Includes a preface by the author’s daughter. Examines the diary of an unknown woman from the Warsaw Ghetto Uprising. Includes excerpts of the diary and footnotes. Diary of a Belgian teenage boy who died with his parents in Auschwitz. Focuses on his strong identification with the rest of the Jewish community and his feelings of guilt for living safely with his family. Collects all of Anne Frank’s known writings, including different versions of her diary and her short stories. Also includes a summary of the document examination and handwriting identification analysis completed in 1986 by the Netherlands State Forensic Science Laboratory. For more resources about Anne Frank and her diary, see the Library's annotated bibliography on the subject. Presents translated diary entries and writings from the notebooks of Petr Ginz, a Czech Jew who was deported to Theresienstadt in 1942. Includes translations of pieces Petr wrote for the magazine Vedem published in Theresienstadt, a list of the fate of all persons mentioned in the text, and reproductions of several drawings from Petr’s journals. Records the observations of a young woman with a non-Jewish father and Jewish mother as the Third Reich slowly gained power in Germany. Displays how ordinary citizens gradually transformed under the new political power and became trapped in Nazi ideology, and the ways in which some Germans resisted Nazism. Diary compiled from notes kept by a man in the Bergen-Belsen concentration camp documenting the period between August 1944 and April 1945. The author was among a group of Jews selected for a possible exchange with the Allies for German prisoners and so was saved from extermination and forced labor, but still suffered under terrible conditions. Includes an introduction by the author and footnotes provided by the translator. Presents diary entries from the last few months of a young girl’s life, from her thirteenth birthday on February 13, 1944 to May 30, 1944, just before she was deported to Auschwitz. Conveys her fears and describes daily life in a ghetto in Nagyvarad, Romania. Includes endnotes and an appendix of letters written to her mother about Eva from people close to the family. Complete collection of a young woman’s writings detailing her life in Amsterdam, her relationship with the psychochirologist Julius Spier, and her time spent in the Westerbork camp where she worked for the Jewish council. Includes photographs, extensive endnotes, a bibliography, and an index. Details the author’s life during Nazi occupation as a member of the French Resistance, her time in various prisons, and later in a displaced persons camp. Includes photographs, an appendix of documents on the resistance, a bibliography, and an index. Records the activities of a man in the Vilna ghetto from June of 1942 to June of 1943 before he was deported and killed in an extermination camp. Documents Kalmanovitsh’s belief that it was best to follow Nazi commands in order to lessen the brutality of the Nazis and to patiently wait for liberation by the Allies. Presents extensive observations of Jewish life in Warsaw before the establishment of the ghetto and throughout its existence, as recorded by Chaim Kaplan, a leading Hebrew scholar in the city. Records the increasingly futile struggle for food and relief in the ghetto, as news of the war and rumors of Nazi plans for the Jews of Warsaw came into focus over time. Includes annotations throughout as well as an extensive index. Writings of a Hungarian woman who continuously refers to her love for her husband as her motivation to survive. Contains a prologue and epilogue by the author’s son, photographs, and a CD with a narrated edition. Journal of a poet and dramatist living in Poland, documenting his time in the Vittel internment camp between May and September 1943, before his deportation and death in Auschwitz. Begins as he and his son arrive at the camp and describes his horror and sorrow at the annihilation of his fellow Jews. Includes biographical notes and an appendix of place names and terms. Translation of a diary kept by Hersh Wasser, a Polish Zionist who was active in the effort to record life in the Warsaw Ghetto as part of the Ringelblum Archives (“Oneg Shabbat”). Includes diary entries from December 1940 through May 1942, documenting the harsh conditions in the ghetto and the increasingly violent actions of the Nazis toward ghetto inhabitants. Presents diary excerpts from June and July, 1942, kept by historian Abraham Levin in the Warsaw ghetto and stored as part of the Ringelblum Archives (“Oneg Shabbat”). Diary of an honored Jewish war veteran and professor who was stripped of his former life by the Nazis, but was saved from deportation because of his marriage to a non-Jewish woman. Provides detailed observations of life in Nazi Germany from 1933 to 1945. Includes endnotes, a chronology of the author’s life, and an index. Translation of a diary kept by a husband and wife covering a two-week period during the final liquidation phase of Jews from the Galicia region. Documents the last weeks of their lives as they hide from the Nazis as well as their fears for their infant son, whom they gave to a Christian family. Includes letters concerning the missing son, photographs, and a history of the family. Documents the final months of the Jewish community of Pilsen as recorded in the diary of a young Jewish girl. Includes accounts of daily life before Nazi occupation in late 1941, continuing through the establishment of the ghetto and concluding with the diarist’s eventual deportation in January 1942. Presents English and German translations alongside reproductions of the original Czech diary. Writings of a renowned Polish author and pediatrician who ran an orphanage in the Warsaw ghetto and died with the orphans in Treblinka because he refused to abandon them. Reveals Korczak’s daily struggles to protect the children from deportation. Includes a short biography of the author. Journal of a man describing the Vilna ghetto and a labor camp in Estonia, documenting the period from September 1939 until the day before he was killed in September 1944. Presents a detailed account of all aspects of daily life as well as news reports and poems. Includes photographs, an index, and an appendix of place names. Diary kept by a secondary-school teacher, documenting the period between April 1942 and January 1943. Recounts stories of daily life in the ghetto, including the struggle to find food, efforts of Polish citizens to assist ghetto inhabitants, and news of the mass murder of Jews and Poles by the Nazis. Reproduces photographs of the ghetto and includes endnotes and an index. Diary kept by a thirteen-year-old Polish girl from August 1940 through December 1942. Initially focuses on her relationship with her family and friends and her participation in a study circle, then concentrates on living conditions under Nazi occupation. Includes appendixes containing letters between the author and her friends and a statement from her cousin. Presents a young man’s journal kept during his last few months in an agricultural training center, from October 1942 until February 1943, before he was deported and killed in Auschwitz. Conveys routine events at the center as well as the author’s fears that he will not emigrate in time. Includes footnotes. Account written by a twelve-year-old boy from March to October 1944 describing the Nazi invasion of Athens. Translated by a twelve-year-old Greek American boy, the diary describes the author’s means of survival, such as selling cigarettes in brothels. Contains many notes by the translator as well as a brief history of the Greek Jews. Diary of a Dutch Jewish journalist maintained during his imprisonment in Westerbork. Documents the deteriorating relations between prisoners in the camp run by Jewish inmates as they competed for power. Records the experiences of a teenage Polish girl who was imprisoned in several concentration camps, including Plaszow and Auschwitz. Begins a year before the war and describes the sudden change in her life as she was forced into the Krakow ghetto and later to the camps. Contains supplemental sections written shortly after the war and later reflections of the author, as well as photographs and a glossary of terms. Presents selections from the diary of American labor activist Abraham Plotkin, who was stationed in Berlin from November 1932 until 1933. Includes his articles on the German labor movement, photographs, a chronology of German political events from 1930 until 1933, and an index. Presents the diaries of a Czech Zionist youth leader interned in Theresienstadt. Relates the efforts of prisoners to create a social life as well as the author’s personal feelings of guilt at sometimes having to select others for transport. Contains a separate diary he wrote for his new son, an index, and extensive annotations. Preserves the day-to-day eyewitness accounts of the archivist of the Warsaw ghetto, culled not only from Ringelblum’s experiences but also stories related to him by people of various backgrounds within the ghetto. Presents entries along with brief editorial comments to provide context, beginning before the creation of the ghetto in 1940 and continuing through the uprising and destruction of the ghetto in 1943. Includes a chronology pairing events in the ghetto diary with milestones in the history of World War II and the Holocaust. Collection of several notebooks of a Jewish author deported from Prague who served in the Statistical Office in the Łódź ghetto. Documents daily life in the ghetto with a focus on the deplorable living conditions. Includes endnotes. 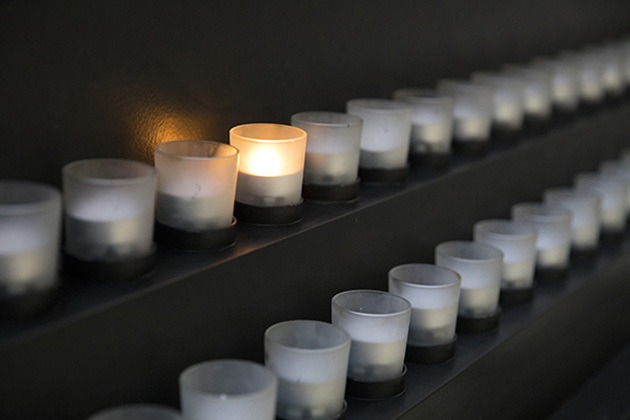 Records a young girl’s experiences throughout her entire internment at Theresienstadt. Details her daily life, including her work at the camp farm and garden, smuggling food, losing friends to transports, and worrying about her fiancé in England. Includes an author’s note and a glossary of names that appear frequently in the diary. Diary kept by a teenage girl from eastern Poland who left her Soviet-controlled town for a summer camp in Lithuania just weeks before the Nazis invaded her town. Describes her move deeper into the Soviet Union to schools and orphanages for refugee children as well as her fears for her family. Includes a semi-autobiographical short story which the author wrote during the war. Presents the diaries of a twelve-year-old Polish boy written between 1940 and 1942. Describes the Nazi occupation of Poland and the increasingly harsh decrees targeting Jews. Contains photographs. Diary of a boy who died during the liquidation of the Vilna ghetto. Records events occurring in the ghetto and his activities with Rudashevski’s school and youth club. Contains endnotes and appendixes including a testimony by the author’s cousin describing her discovery of the diary. Journal of a Jewish writer living in Bucharest who evaded deportation because of his connections in Romanian society. Describes the rise of fascist power in Romania, the intellectual society of Bucharest, and events in the author’s personal life. Includes a list of key individuals mentioned in the journal and an index. Eyewitness account of the final months of the Warsaw ghetto written by the ghetto’s chief archivist, beginning in July 1942 and continuing through April 1943. Documents the burgeoning resistance movement and the eventual destruction of the ghetto by the Nazis. Includes a forward written by the author’s family as well as copies of documents and photographs. Diary kept by Senesh, a Hungarian Zionist, from the ages of 13 to 22. Covers her school days, her move to Palestine, and joining the British army. Includes letters and selected poems by the author, memoirs by her mother, and testimonies of two soldiers who parachuted with Senesh into Yugoslavia where she was killed. Translated excerpts of a diary kept by a journalist in the Warsaw ghetto. Documents the daily struggles in the ghetto as well as the author’s efforts as part of the editorial board of the magazine Moment. Collection of diaries written by a teenager in the Łódź ghetto, documenting the period between June 1939 and April 1943. Chronicles daily life in the ghetto. Contains photographs. Diary of a Czech Jewish woman who kept a journal of things she wished she could write to her lover, a prominent Christian composer who cut off his correspondence with her after the beginning of World War II. Describes the increasing harassment and persecution she faced before successfully emigrating to England, then to Canada in 1941. Includes an appendix listing the fates of individuals mentioned in the text. Diary kept by a secretary of the Jewish council in the Kovno ghetto. Describes the formation of the ghetto and daily events under Nazi occupation, interspersed with official Nazi and Jewish Council documents collect by the author. Contains an epilogue by the author, photographs and sketches, maps, annotations, and an index. Presents the writings and diary entries written by the author while working as a teacher of Yiddish and for the archives in the Łódź ghetto. Includes photographs and footnotes. Analyzes an anonymous diary written in English, Hebrew, Polish, and Yiddish by a resident of the Łódź ghetto. The diary was written in the margins of a novel during the final months of the ghetto. Includes endnotes. Compares a diary and a memoir written by the same person, both of which provide descriptions of the author’s internment in the Konin labor camp. Discusses the necessity of using memoirs alongside diaries, where possible, to better understand historical events. Analyzes the various motivations and purposes for keeping diaries during the Holocaust and the reasons diarists kept writing throughout their ordeals. Primarily based on unpublished diaries. Includes endnotes, a bibliography, and an index. Account of Emanuel Ringelblum’s life and the history of the secret group Oneg Shabbat dedicated to chronicling life in the Warsaw Ghetto. Provides guidelines for further study. Includes extensive endnotes, a bibliography, and an index. Literary analysis of 14 diaries secretly kept by prisoners in seven different concentration camps. Examines the use of diaries as a way to escape the dehumanizing realities of life in the camp and cling to some sense of hope as a way to survive. Examines over 50 diaries of Jewish victims, focusing on the spiritual aspect of keeping a diary and the influence of Jewish traditions on their diaries. Includes endnotes, a bibliography, and an index. Collection of papers presented at a 1993 conference exploring the ways diaries have been and can be used to gain insight into the experiences of both Jews and non-Jews during the Holocaust. Includes essays on published and unpublished diaries from Warsaw, Vilna, Łódź, and elsewhere in Nazi-dominated Europe. Discusses the need by readers to approach Holocaust diaries as subjective narratives of personal experiences, rather than as objective evidence of the events described. 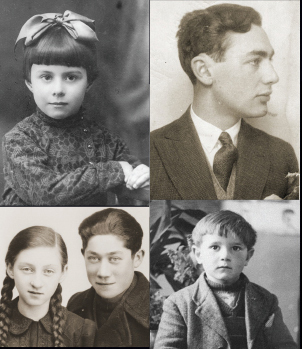 Examines the plight of Jewish children during the Holocaust as revealed through readings from their diaries, along with photographs and film footage. Presents excerpts from original diaries written by children and teenagers during the Holocaust, as read by several leading young actors. Includes a printable study guide for use in classrooms. To search library catalogs or other electronic search tools for diaries written during the Holocaust, use Library of Congress subject headings of the type [name of individual]--Diaries, e.g. Frank, Anne, 1929-1945--Diaries, to retrieve the most relevant citations.